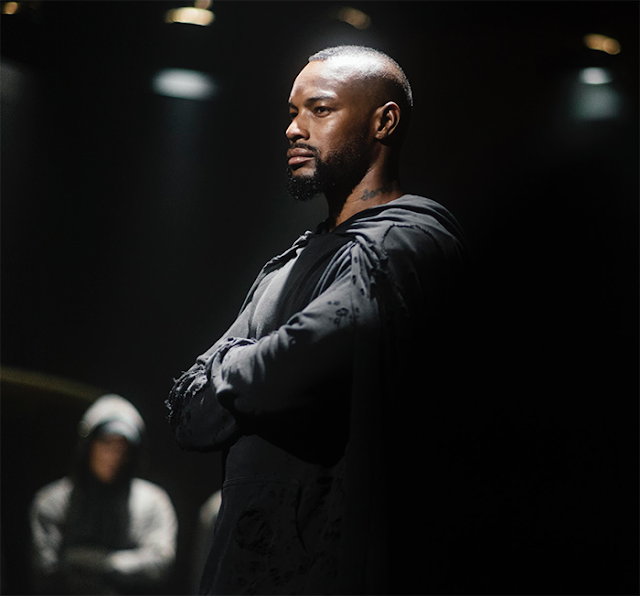 This had to be the coolest presentation of NY Fashion Week Mens. 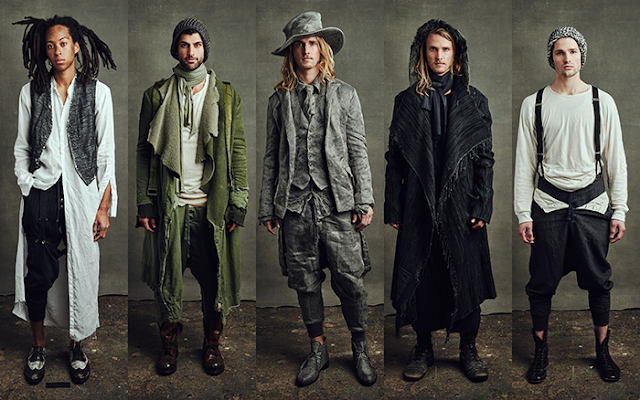 Greg Lauren presented a study of masculinity in all of its classic archetypes for his fall 2016 collection. The main set piece was the vignette of boxers. Other iconic male roles included the nomad, the artist, the dandy, the cowboy and superhero. The clothing itself was luxuriously dishevelled. There was a lot of overdyed and faded linen, wool and cotton textures. The color palette ranged from various shades of grey to navy, charcoal, olive green and maroon. Pant silhouettes had a relaxed fit up top, but slim fit in the leg like riding pants. Vests and tailored jacket had a sculpted fit that was softened with multiple washes. Garment edges were artfully frayed, worn into holes or leather edges were left to their natural shape. 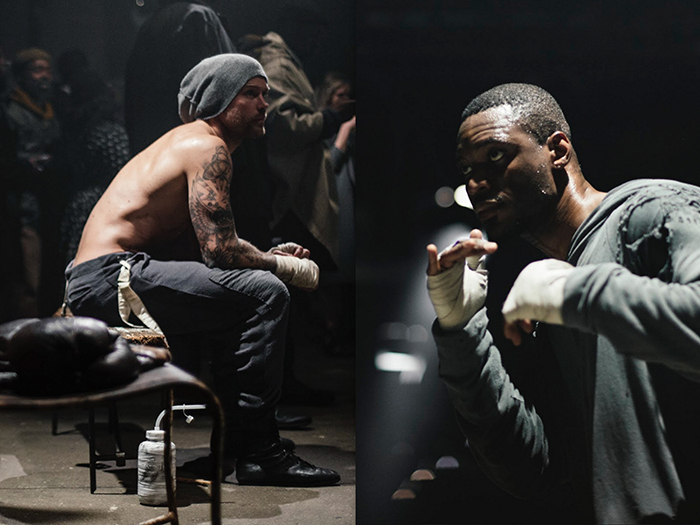 Greg Lauren's fall 2016 collection was the ultimate show of testosterone in stylish form.